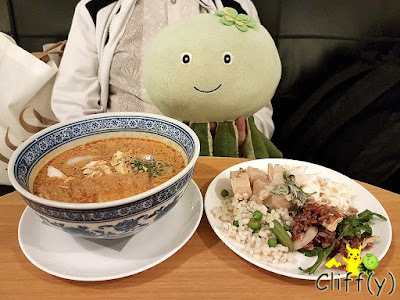 Are you ready for another series of overseas food adventure? 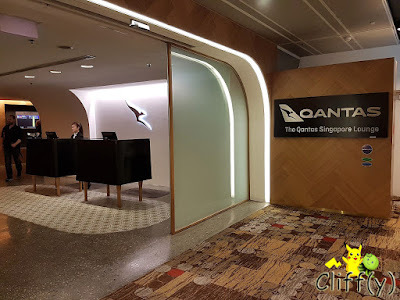 It all began with my BFF and me going to Changi Airport early to have dinner at the spacious Qantas Lounge. I didn't fly with Qantas, but my Finnair Business Class ticket granted me access to the lounge, thanks to the Oneworld alliance. Which one should Melon eat first? I was pretty much intrigued by the variety of salad dishes. Served chilled, the potato salad and coleslaw whetted my appetite. 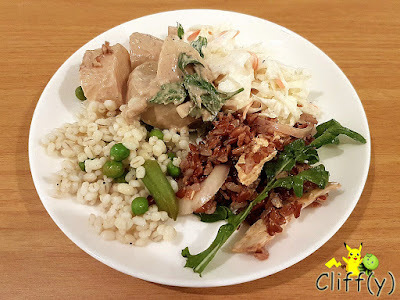 The red rice salad came with shredded chicken breast, while the barley and peas salad had a delectably springy texture. Accompanying the slightly fragrant Basmati rice was a nicely done chicken stew. The white meat was tender and succulent. 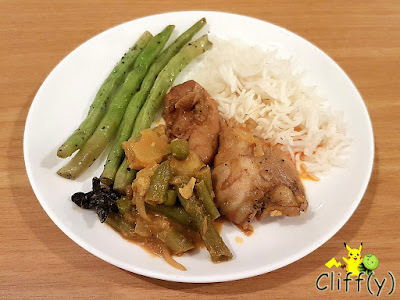 The long beans cooked with black pepper were crunchy, while the Indian style vegetable curry was aromatic. 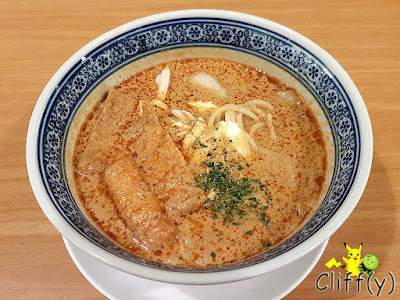 It was nice to see the lounge offering the hearty noodle in coconut curry with egg, chicken and fried beancurd. I found it to be delightfully rich and creamy. However, its spiciness level was close to zero, most likely to cater to the wider population. Not too worry, simply grab the chili provided separately if you like it spicy. I was excited when I saw lamingtons (Australian cake coated with chocolate sauce and rolled in desiccated coconut). The one that I had the other day was filled with kaya jam. I also enjoyed the caramel pudding and the black glutinous rice topped with coconut milk and jackfruit. 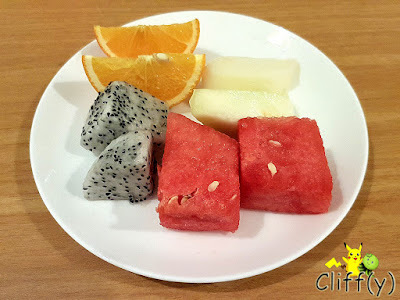 The quartet of fruits - watermelon, honeydew, dragon fruit and orange - were pretty much juicy and sweet. The homemade lemon barley was mildly sweet and adequately thick, although it could use a bit more lemon juice. 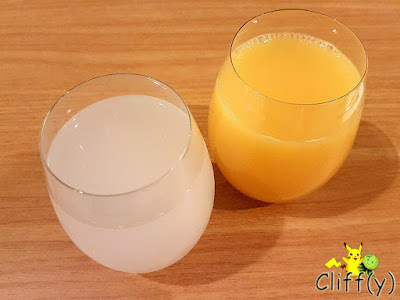 The orange juice, on the other hand, was a tad too sweet for my tongue. 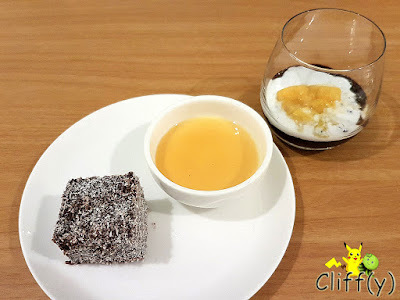 Anyway, does anyone know where to get nice lamingtons in Singapore? 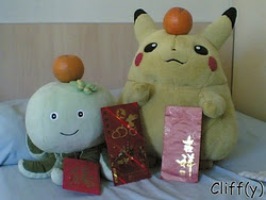 Pika's advice: Fancy some homemade lemonade infused with lemongrass and ginger? You can find it only at the bar counter. *No separate price given as lounge access is included in the ticket price.